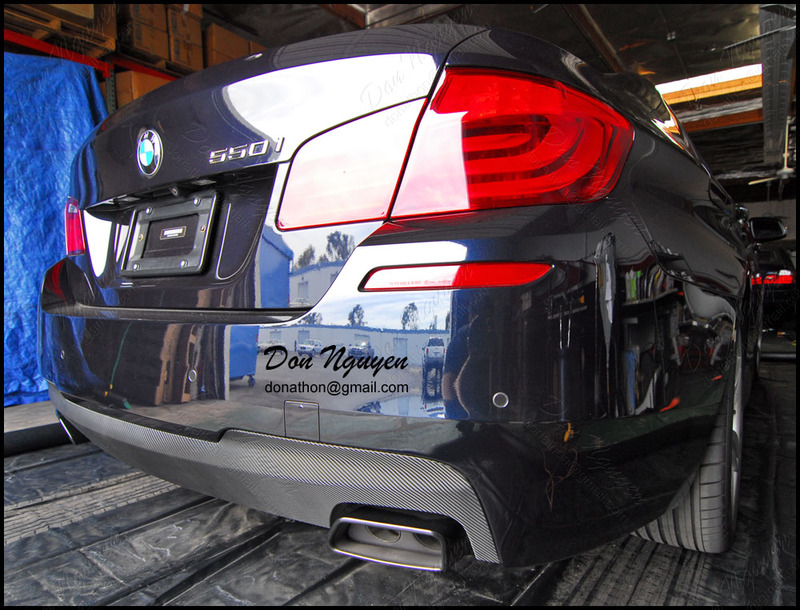 The owner of this blue F10 BMW 550i contacted me to see if I could vinyl wrap the diffuser on his car with the 3M 1080 gloss carbon fiber material. He brought his car out to me in Orange County from around Riverside, for me do to the work on his car. Usually a lot of diffusers are not very practical to wrap due to their shapes/curves, which makes it hard for the vinyl to stick and stay conformed to over time. However, this one was fairly flat and there wasn't too much heat from around the exhaust areas on this car so that was a good thing as well.